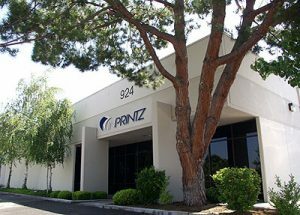 Inprintz, Inc. is a large format printing company located in the heart of the Silicon Valley. Inprintz specializes in indoor and outdoor banners, retail and corporate event signage, barricade banners, wall murals, window clings, floor graphics, trade show graphics, and vehicle wraps. Inprintz has been serving the greater bay area for over 10 years, providing clients with exceptional quality and service. What makes Inprintz, Inc. so unique? We have a dedicated TEAM with collectively 100 years of experience in the large format arena, as well as, our experience, skill, and professional track record of “making it happen” for our clients. Here at Inprintz, we are able to transform your most creative concepts into sophisticated and highly presentable media. Let Inprintz help transform your creativity into reality.